Last night was the first of the concert series held on the Metamora Square and this morning plenty of folks were displaying their wares at the farmers market. 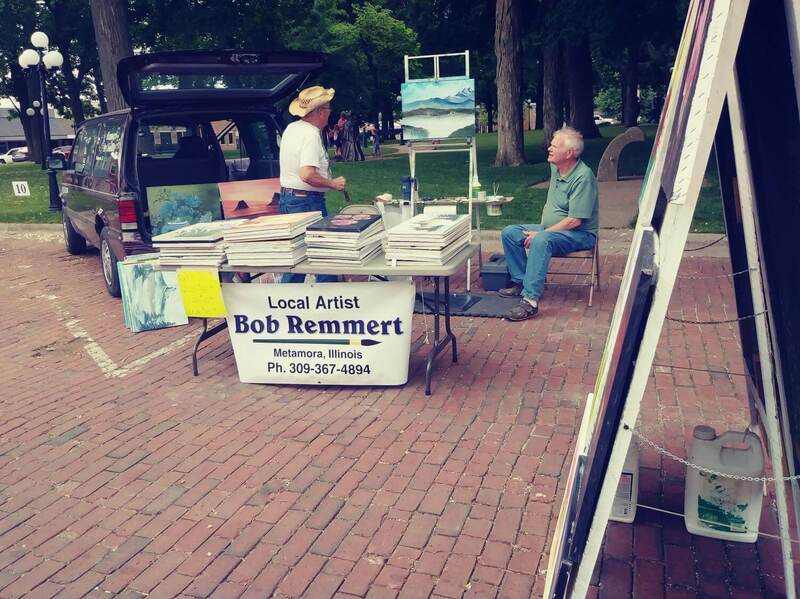 Local artist Bob Remmert was painting a lovely portrait this morning. There were also vendors selling fresh fruit and vegetables. More great things are in store for the Square this year. Make sure you take the time to stop by for the good times.